Smoothies are an awesome way to pack tons of nutrition into a delicious treat that you can anywhere...As you all know “An apple a day keeps the doctor away” so if you’re struggling to eat enough raw apples, start drinking them! 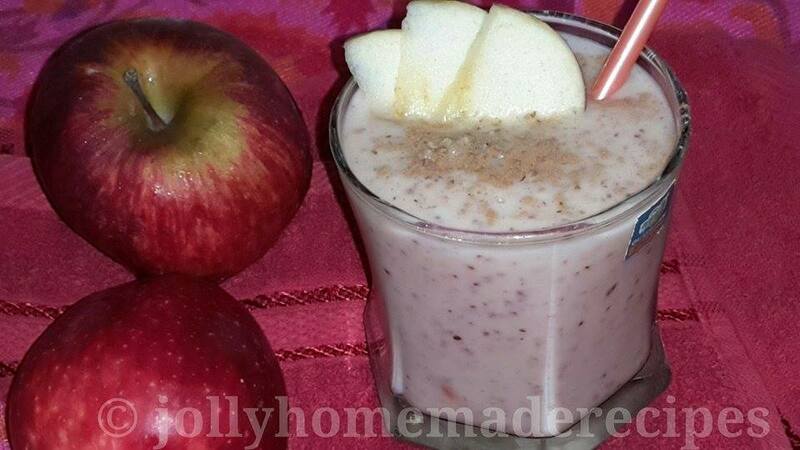 As we know apple and cinnamon are made for each other and the comforting flavors. This Apple Cinnamon Smoothie with Toasted Almonds is perfect healthy drink for breakfast, an afternoon snack or a dessert. 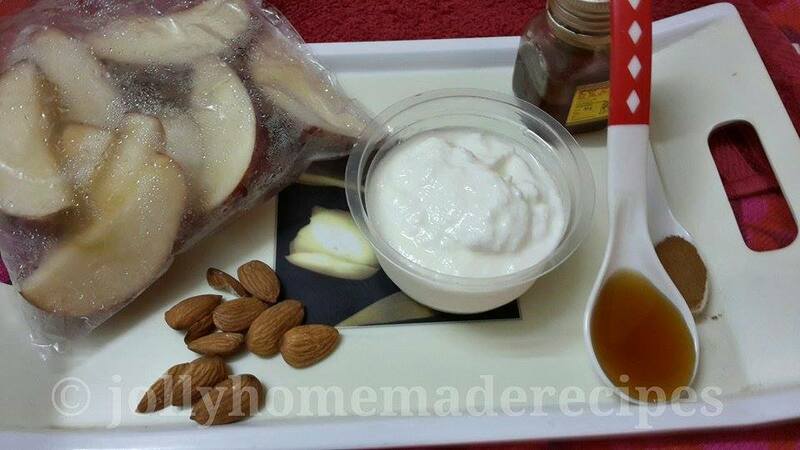 It’s super rich in vitamins and minerals and is packed with fiber from the apple, protein from the yogurt and omega 3 fatty acid from almonds. 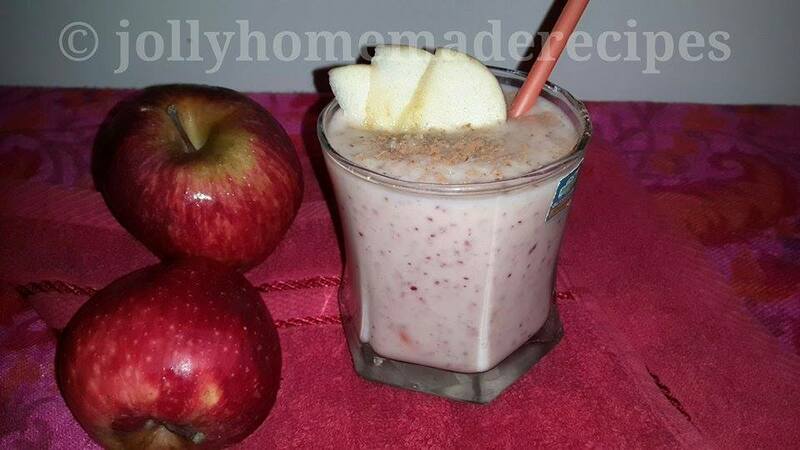 Apple Cinnamon smoothie is slightly thick and naturally sweetened with honey, I didn't use sugar. It's a fantastic way to start your day. 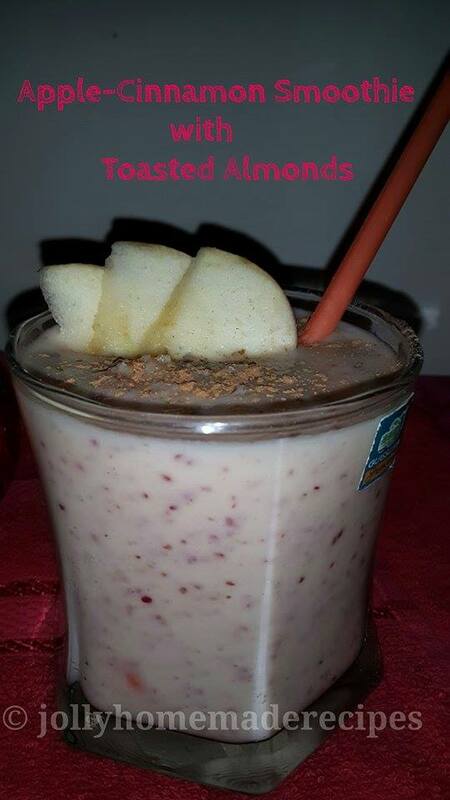 This yummy smoothie blend with spicy cinnamon, vanilla yogurt, toasted almonds and sweet apples. 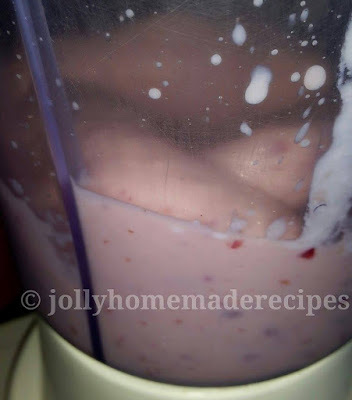 You can make end number of cool drinks at home like Mango Milkshake with Ice-Cream Recipe , Sweet Lassi, watermelon smoothie, beetroot squash, guava punch , cucumber smoothie and many more !! I prefer freezing the fruits rather than adding ice cubes, the smoothies are tastier and more filling this way! To make the toasted walnuts preheat the oven to 180°C, arrange the almonds and bake it for 2 minutes (you can toast it in normal skillet also on high flame). Don't add too much of cinnamon, otherwise it will hit your tongue, after 1 sip. 1. 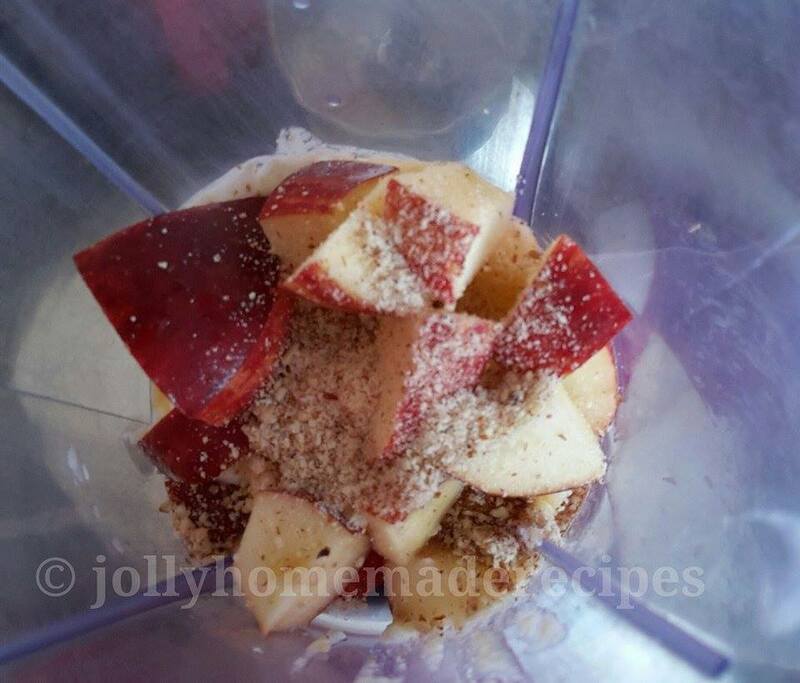 Place all the ingredients in a blender and blend until smooth, pulsing as needed. 2. You might need to scrape down the sides of the blender a few times. 3. 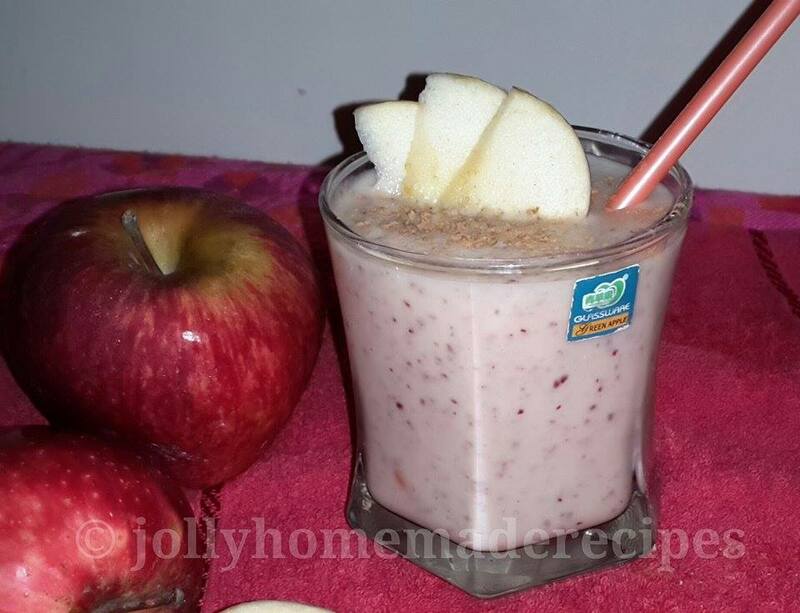 Pour into a glass and serve immediately with slices of apple and sprinkle toasted almond powder & cinnamon. Thanks a lot Sundari !! So yummy and so healthy! Love the idea of freezing the fruits! Thanks a lot dear Puneet !! Drooling smoothie dear.. That's correct, frozen fruits is a good idea.. Thanks a lot dear Vidya ! !